Greetings everyone. We now have one more official group. 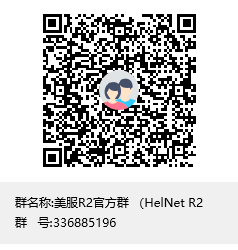 You may join in and discuss anything about the game, check out news in Chinese, or contact our translator there. He will pass anything you are willing to ask to the administration. Also, I remind to everybody that we have a YY group as well: http://forum.helnetworks.org/forum/h...2676;-15482970. Last edited by Griffin; 08-29-2018, 08:38 PM.